Hill stations have always been my first choice of exploration. No, I do not have any hatred towards other destinations, but the only thing is, I love cold weather, greenery and hairpin bends in a hill station, which make your ride more adventurous, and I tend to enjoy them a lot. The best time to visit any hill station starts from November and goes till March when the temperature is comparatively cooler than the other months. It allows you to experience the best of the place during these times. So, keeping my this love in mind, I was furiously searching for a hill station near Bangalore, which is not so far and can be covered in a day, including the travel. I already wasted my Saturday, and hence, I had only Sunday to calm down my travel bug. After a lot of research, I decided for Yelagiri Hills, which is around 170 km from Bangalore. Therefore, even if your riding speed averaged around 80 kmph, you can easily reach your destination in two to three hours, which include a stop for breakfast. On the Sunday morning, we (me and my friend) started for Yelagiri at 5 AM. Starting from Bangalore, you have to take NH7 towards Hosur for Yelagiri and then continue on NH 44 towards Chennai. On the way, we stopped at a roadside ‘Dhaba’ where we had idlis and uttapa, which was kind of okay. You only find some of the famous restaurants like McDonald’s, A2B, Cafe Coffee Day, etc. as you are just on the verge of leaving Bangalore. Once you are far from Bangalore, it is a little difficult to find some good restaurants. Hence, it is a good idea to have a small meal at these restaurants itself, rather than waiting. The road till Krishnagiri is a six-lane national highway and you can easily achieve a speed of 110-120 kmph. However, we were riding at 70-80kmph because the mileage was our primary concern. We, kind of, lost the way because the Google Maps does not show the main road towards Yelagiri and took us through some remote villages. Therefore, we lost around 45 minutes. However, if you do not follow the right turn which comes on the google map and continues on NH 48 for another 12 km, you will find a right turn after Vaniyambadi Toll, which will take you directly to the starting ascent point of Yelagiri Hills. After strolling through a few villages and seeking the help of local people, we somehow managed to reach that point from where the hairpin bends start. 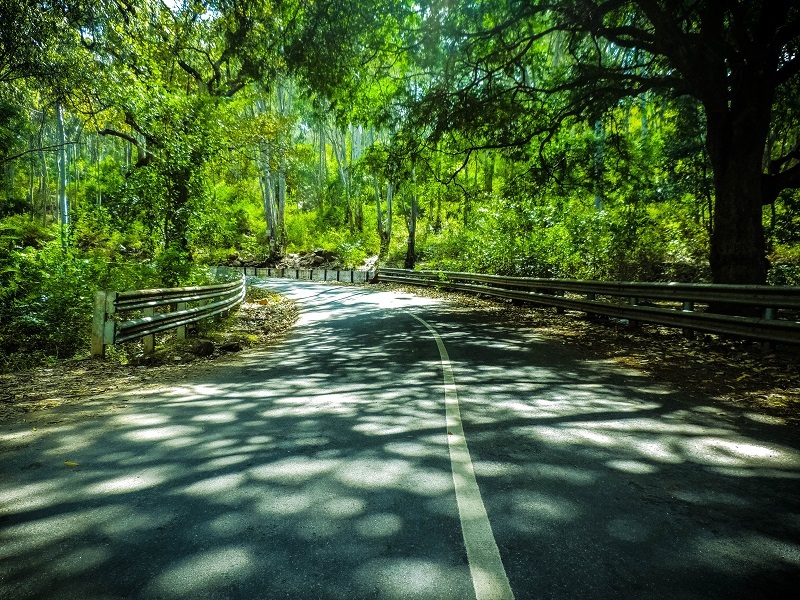 There is a total of 14 hairpin bends until you reach the top of Yelagiri Hills, and the hairpin bend no. 7 allows you to witness the bird’s eye view of the surrounding, which is located at a height of around 680 m from the mean sea level. We reached Yelagiri at around 9.30 AM and headed towards the Punganoor Lake, which is the largest man-made lake in the state of Tamil Nadu. After reaching the lake, we just relaxed and enjoyed the view, surrounding the lake. It was so pleasant and cool, which made us forget all the tiredness of the ride. We spent around two hours at the Yelagiri Lake and started our journey back to Bangalore. Though there are myriads of other places to visit in Yelagiri like Jalagamparai Waterfalls, Nature Park, Jalagandeeswarar Temple, etc. we could not visit the places because of the time limit. The next day was Monday and we wanted to reach Bangalore on time so that we can have the sufficient amount of rest before starting the coming workweek. Overall, Yelagiri definitely deserves a visit and one full day is enough to cover all the places to visit in Yelagiri. Moreover, if you want to stay in Yelagiri, there are myriads of lodges and resorts at various price ranges. So, this was my bike ride to the hills of Yelagiri. 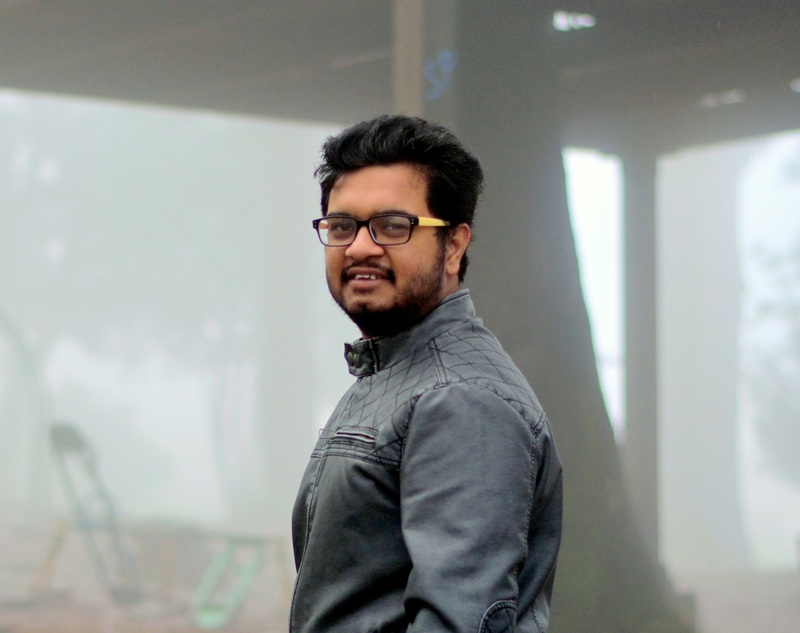 I am surely going to visit Yelagiri again and cover all the other places.